Search Farmingdale homes for sale and homes in Farmingdale. Call 732-598-7700 to see homes in Farmingdale. The quaint little town of Farmingdale is located in Monmouth County NJ. Since it’s such a small town here aren’t usually many Farmingdale homes for sale. They range from starter homes around $200,000, however, larger, newer homes can sell for over $500,000. 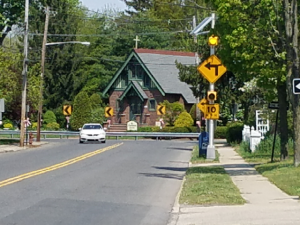 Originally a farming village, Farmingdale has some older homes, some as old as 150 years old. As of the 2010 Census, Farmingdale had a population of 1,329 people, also the median household income was $63,191. Even so, it’s not uncommon to find multiple generations of a family residing in Farmingdale. In Farmingdale, there is a small downtown area with shopping and dining. As with many small towns, Farmingdale has entered into shared services agreements with a nearby, larger town, to provide police services. Farmingdale has one school in town, as a result it educates children from pre-kindergarten to eighth grade. When students enter high school those students from Farmingdale will attend Howell High School. This school is part of the Freehold Regional High School District. 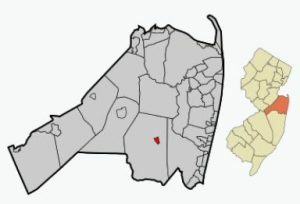 The Freehold Regional High School District consists of six high schools. Children will attend the high school according to boundaries set by the district. Each high schools has specialized Learning Centers for talented and highly motivated students. Any student from the region is eligible to enroll. However, there is a competitive admission process. Some of the programs at the Specialized Learning Centers are sciences, law and medical prep among others. Call 732-598-7700 today to see these Farmingdale homes for sale.